The Lemons and Richardsons have created a language-learning legacy in their families by the acquisition of master’s degrees in Spanish by two generations of BYU students. PROVO, Utah (Mar. 1, 2017)—Though similar levels of education between parents and their children is statistically significant, it is much less common that children choose the same college major as their parents. 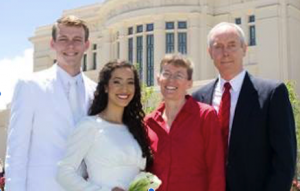 In the case of the Lemons and Richardsons, not only di d the children gain a master’s degree in a foreign language like their fathers, but they also studied Spanish at the same location – BYU. 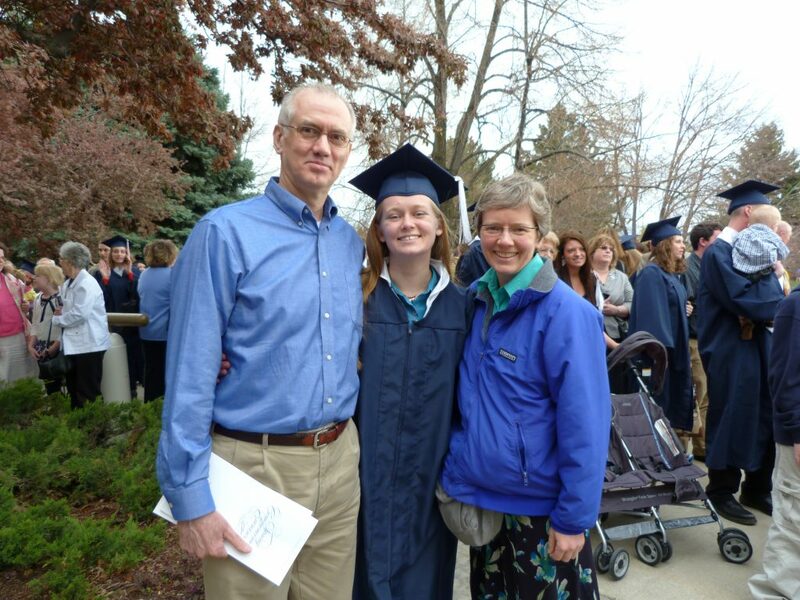 Both Charles Lemon and his daughter Kiersty Lemon-Rogers received their bachelor’s and master’s degrees in Spanish at BYU. Lemon is a BYU adjunct professor of Spanish who teaches the medical Spanish course, and Lemon-Rogers is now pursuing a doctorate in Spanish literature. Her dissertation focuses on the science fiction novels of Rosa Montero. Charles Lemon first became interested in Spanish in high school. After his mission to Mexico, Lemon taught Spanish at the MTC, an experience he really enjoyed. “I decided to declare a secondary Spanish teaching major, but I didn’t enjoy my student teaching experience. I thought teaching at the college level would be more like teaching at the MTC, so I did a master’s degree and I really enjoyed that,” said Lemon. After a semester of pursuing a doctorate degree, Lemon decided to withdraw and return to an earlier plan of going to medical school. Above all, she feels that cultural competence is as important in learning a language as vocabulary. “As I teach beginning Spanish, I try to make sure to incorporate the skills that will allow students to see other people as complete individ uals, not just as numbers or problems,” commented Lemon-Rogers. Richardson is currently pursuing a master’s degree in the Spanish and Portuguese Department, following in his father’s footsteps, who is currently a professor of Spanish at BYU–Hawaii. Professor Richardson first pursued business with a master’s in public administration, but years later decided he was more interested in the process of language educations, and so went back to BYU to receive a master’s in Spanish and a PhD in foreign language acquisition from the University of Texas at Austin. Like Kiersty, Nathan was also homeschooled and started learning Spanish as a child, for him at the age of 12. After serving his mission in the Dominican Republic and completing his bachelor’s in Spanish, Richardson was inspired to pursue his master’s by his father and also professor Jeff Turley, who later became his thesis chair for his master’s degree. “Turley and my dad actually knew each other at BYU pursuing their Master’s in Hispanic Linguistics, they would play basketball together…I want to do well in the program because of both their examples.” Currently Richardson is unsure whether he also wants to get his doctorate in Spanish, or try his hand in business. Hannah covers events for the Spanish and Portuguese Department for the College of Humanities. She is a senior pursuing a degree in art history with a minor in art.